This is an amazing project that’s under construction right now as you read this only 7 blocks away from Parque Calderon. 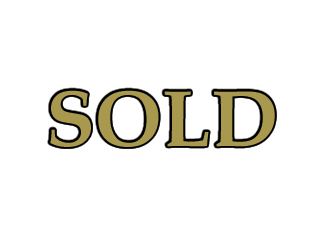 With 20 suits being build and prices starting at just 40.000 this really could be that investment you were looking for in Cuenca. This 480 square feet studio could be both. Coming in at just 58.000 completely furnished, this place is a great value if you don’t want to spend all your money but still want a pied-à-terre in Cuenca. This 59.000 dollar property is the perfect way to get into investing in Cuenca. This place is located right along the Tomebamba river. You just have to cross the river to be in the historic center, and people pay good money for places like this. LOOKING TO GET YOUR FOOT IN THE DOOR IN CUENCA. This 73.000 dollar 1 bedroom apartment is your best bet right now. TRAMVIA! LOCATION, VIEWS AND AN AMAZING PRICE! This nicely appointed 1BR Penthouse condo comes completely furnished and is located on Gran Columbia, just steps form the new Tramvia that will begin operating this year! Just think, no noisy city buses to contend with! WOW! A 2BR, 2BA, PREMIUM CONDO FOR $85.000! IN CUENCA! WRONG, THIS PROPERTY IS GREAT! Imagine a new condo, with perfect finishes, in a scenic area, with river views, and an Alicota of only $90! How long is this going to last on the market? That's really what you need to ask yourself! This 2 bedroom 2.5 bathroom apartment is a great value, especially considering the 950 square feet size, the fact that it comes completely furnished and lots more. LOOKING FOR A HISTORIC CENTER PENTHOUSE? This completely renovated penthouse in the historic center of Cuenca can be yours for just 88.000. This place is excellent if you’re looking for a very affordable but still completely turn key place. As an extra you’ll be steps away from Supermaxi, the new tranvia and the historic center is within walking distance as well, although with the tranvia we wouldn’t understand why you would go walking if not for exercise. This little hidden gem is located by the Paucarbamba area and is one of the best value apartments we have for sale at the moment. For only 94.000 you get a 1 bedroom. 1 bathroom recently renovated and fully furnished apartment. All in aproximatly 350 square feet. This 4th level walk up is a great find for anyone looking to buy in the historic center, just 4 blocks from parque Calderon. FAMILY HOME. AVAILABLE 1, 2 AND 3 BR UNITS. PARKING, GREEN SPACE AND AN AMAZING COURTYARD! This beautiful Cuenca condo conversion was carefully crafted from a hundred year-old family mansion. If you’re looking for a deal they don’t come much better than this. A3 bedroom 2 bathroom NEW condo for just 96.000 including a parkingspace and a storage area. Located in the heart of Cuenca, this very reasonable prices 2-bedroom condo offers a perfect mix between the old and the new. This awesome 5th floor one bedroom apartment is located west of Cuenca in a newer building, ready to move in and enjoy it.! 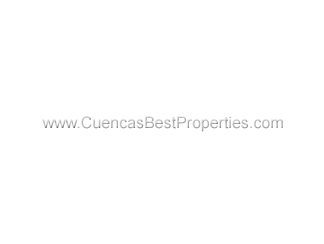 GREAT CUENCA INVESTMENT CONDO NEAR SOLANO! LIVE IN THIS 2BR, 2BA CONDO OR RENT IT OUT! AT THIS PRICE, BOTH OPTINS ARE GREAT! This is a rare opportunity to spend very little to get a great home or a great investment here in Cuenca! This brand-new 1 bedroom suite is located just a couple of blocks from the beautiful cathedrals. You’ll have everything within walking distance, and you’ll be able to proudly call yourself the owner of a very well prices property in the middle of one of the most beautiful cities in South America. Located in the east of Cuenca, the Monay area has a lot to offer. There’s the well known monay shopping mall, it’s close to the center with lots of public transport options, you’re also a lot closer to Azogues among other advantages. For just 110.000 you get a lot of apartment at a prime location. How do 3 bedrooms and 2.5 bathrooms sound, all of them with nice views, great quality finishes and lots more. This charming 2 BR, 2 BA Cuenca apartment is located on the ground floor, so no stairs in this place! This 77 square meter penthouse comes completely furnished for a great price and even has a nice 17 square meter terrace. This 115.000-dollar 2-bedroom 2-bathroom apartment is your best bet right now. This beautiful, brand new, completely furnished Cuenca artist’s retreat in the heart of El Centro was designed by of one of Ecuador’s most prominent artists and is stunning in every way. The never-before-lived-in, one bedroom, one bath designer suite is located on the ground floor of downtown Cuenca’s newest prestige building, El Cirpes. Tired of looking at all those huge apartments with 5 bedrooms? This is an amazing opportunity at just 117.000 for a 2 bedroom penthouse that views in every direction and is situated perfectly. At just 118.000 for a 3 bedroom apartment just steps away from Supermaxi and the new tranvia, this place is a steal, especially considering the 1400 square feet size.